We’ve all been there. You open the cupboard or drawer, pull out a clean dish towel and prepare to dry dishes when you smell it. That clean dish towel you just pulled from the drawer smells horrible. 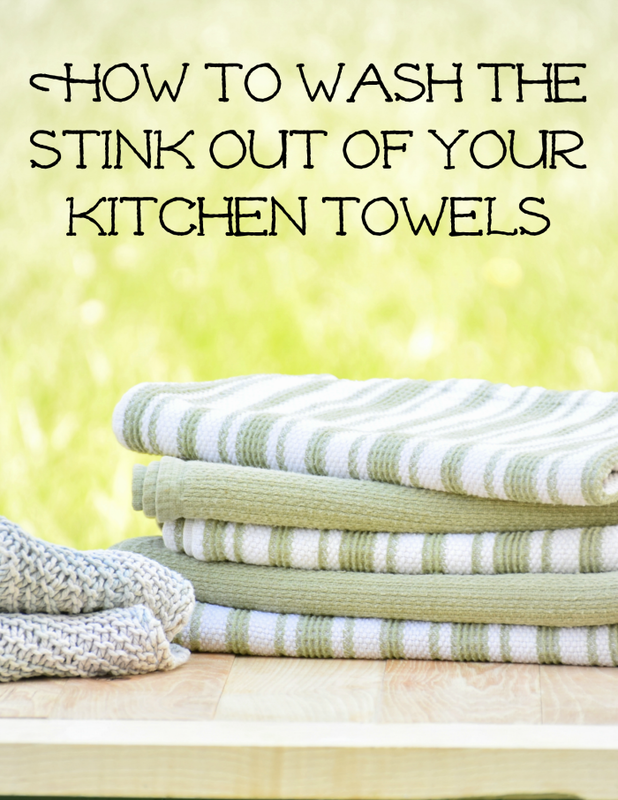 Let’s talk about How to Remove the Stink from Kitchen Towels. First of all, why do they stink? You are probably washing them decently frequent, your laundry soap hasn’t changed, and maybe you even line-dry your towels which is supposed to help with the smell. So why? why? why?! I’m going to use my own experience as an example. Yours may be a little different. I have a towel laying out on my counter 90% of the time. 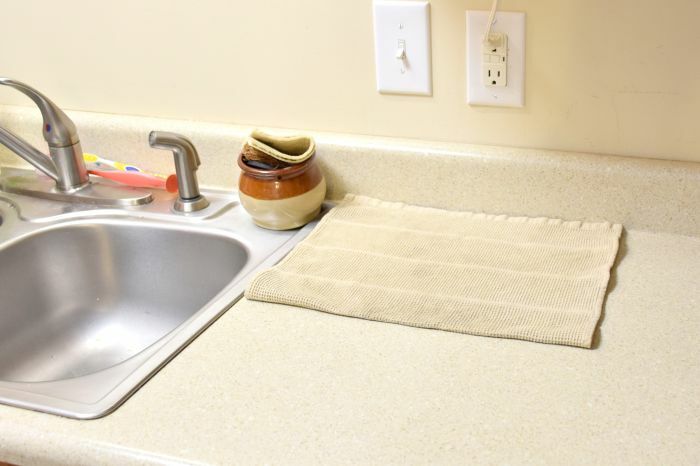 I wash my dishes each evening and air dry them on the towel overnight. As you can imagine this towel is damp most of the time. I also hand-dry pots and pans if I need to reuse them right away. My dishes are clean and scrubbed when I dry them, yet it is highly likely that there would be a small amount of food residue being picked up by the towel. This can grow bacteria over time. When I switch out one towel for another, I toss the dirty towel across the rag basket and it likely falls down inside with all the other dirty rags by the time I wash them on Saturday. And finally, your laundry detergent can actually cause buildup that is trapping the stink and smell in. Softener is really bad about doing this. Be sure to use a clean rinsing detergent that is free from dyes and scents. Use softener on towels less than once a month. My kitchen towels never get softener used on them. When my towels get a nasty smell, I typically wash them all at once. Of course if you have dozens of towels you should split them into medium-sized loads. Don’t want to overload the washer! 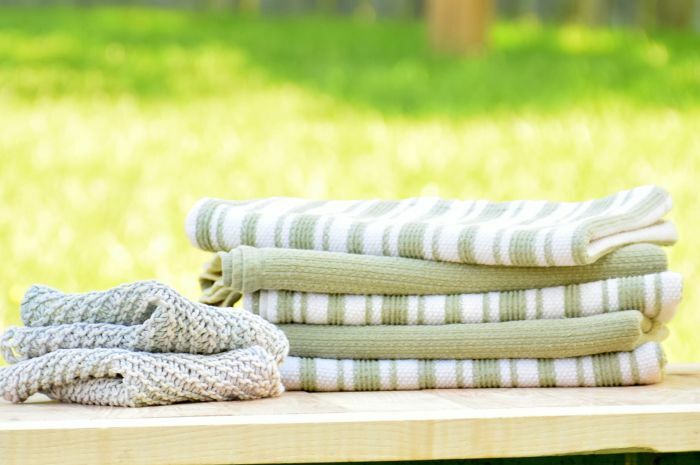 Wash towels with 1 cup of white vinegar and hot water. In this case you was the water as hot as possible. Since our heater is turned down so kids won’t burn themselves, I brought a large pan of water to a boil and poured the boiling water into the washing machine with the towels. I ran the 1 hour cycle with hot water and vinegar. Then I ran a second 1 hour cycle, again with hot water but replaced the vinegar with 1/2 cup baking soda. Finally I did a shorter cycle with a hot wash.
After you run the wash cycles, either dry on high heat in the dryer, or line dry in the sun. This method also works for smelly mildewy bath towels as well. The Why: Vinegar breaks up mineral deposits from your water and dissolves the buildup. Baking soda neutralizes odors and dissolves dirt and grease. 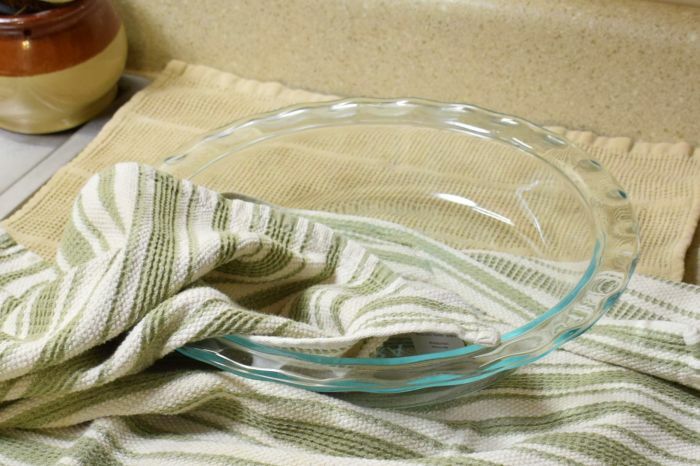 Next time you are tempted to just toss that stanky towel into the trash, try this method and see what you think! I also hate smelly towels! I have been washing my towels in hot water with about a cup of vinegar for the past couple of years and they all smell wonderful! I have taken to washing them this way all the time, even when they don’t currently have a “stink”. I was worried about using hot water on my bath towels (and fading the color or something) but have found that I haven’t had any problems, or smells! Such a simple fix. That’s awesome! I try not to use hot all the time due to electric and stuff, but towels and diapers are a must. I may just switch to using vinegar in my towels all the time 🙂 cheaper! Thanks for the tips! My mom “bleaches the heck” out of hers, but I think this would be better and the fibers in the towels wouldn’t be as likely to break down. Stopping by from The Creative Exchange. I have pinned this because I can’t get the smell out of mine sometimes. Thanks for the tip! I knew about the vinegar but I didn’t know about the baking soda. Thank you for sharing this! Many times, just the vinegar is sufficient. But my kitchen towels were REALLY bad! This is one of those simple ideas that is so smart! I bet this would work wonders with my towels. Thanks for sharing! Thank you! I always think my kitchen towels smell like drawer… or other gross things… I’m going to have to try this. Also, never used vinegar and baking soda to strip diapers, but I’d feel much better about that than bleach, so I think I’ll have to give that a shot next time! How do you use the vinegar in a HE washer? When do you add it? Sorry about the delay in responding here. I typically just add it in the soap dispenser area. Thanks, I’ll try this. My worst problem is stinky dish clothes made of synthetic fabric. They say do not use bleach, this should solve my problem! Thanks for clearing my fog! I used Vinegar instead of fabric softener and still used the laundry detergent for the wash cycle. No wonder the results weren’t satisfying! It helped a little to skip the softener but it didn’t last. 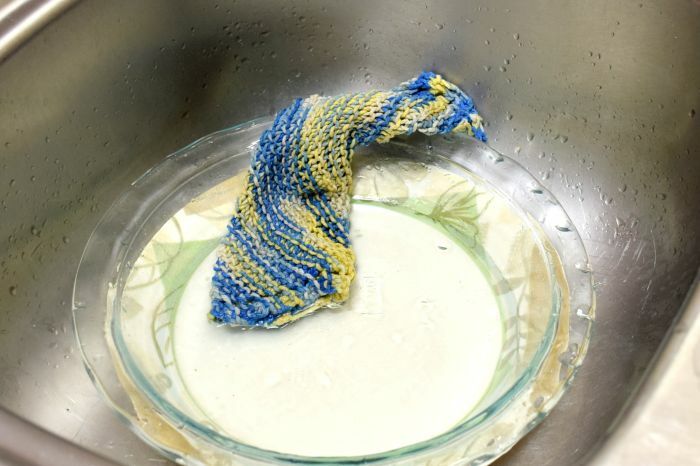 Can’t wait to wash my clean, smelly dish rags…properly! When you wash with vinegar, do you still use detergent? Or do you only wash with vinegar, followed by a baking soda wash?? I absolutely love vinegar! It can really solve anything! Would this work for all kinds of towels too? Mine aren’t the regular blend of materials but I think they are getting a little stuffy smelling. Thanks for the tip!